So you’ve made a life changing move to a small country in Central America. Now that you’re here and you want to be able to ‘hang’ with the locals and when your friends from ‘up north’ come to visit you want to show them that you are now Tico too. Here are some simple steps to get you on your way to “Ticohood”. -Call everyone “Mae”. I also suggest you start and end every sentence with it. What does ‘mae’ mean? The closest translation in English would be ‘dude’. I heard that it was originally derived from the verb Majar which means to pound or mash and was used in the form “No me maje” or “Don’t mash me”. Now, it may be the singular most word used in Tico slang, whether in times of happiness, anger or indifference. You may get a funny look if you call an elderly woman or President Solís mae, but you’re pretty much good-do-go the rest of the time. Once you master this word you can move on to “tuanis” or “huevon”. -Support “La Sele”. 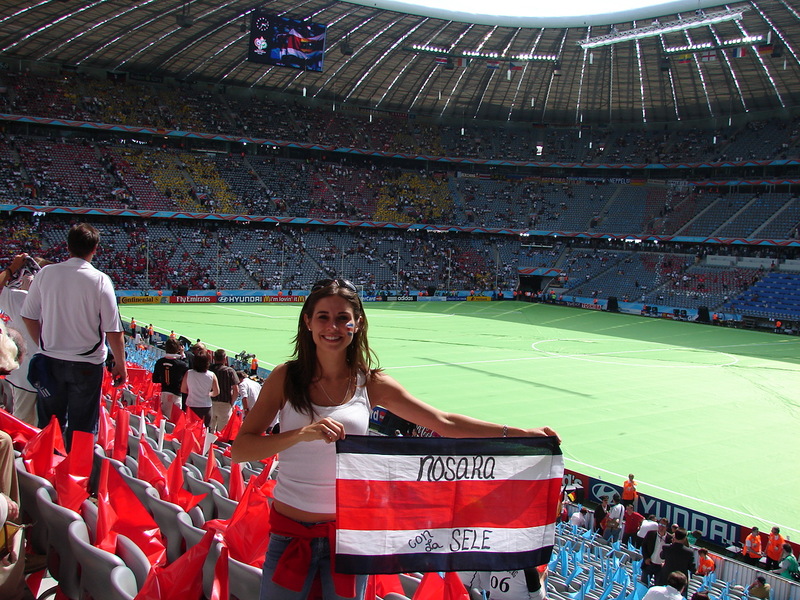 La Sele is the knick name for the Costa Rica National Soccer Team and is short for ‘La Selección’. Soccer or ‘fútbol’ is the only one main sport in CR, so if you want to be able to banter with locals at the bar or even with your taxi driver… start supporting La Sele. You can pick up a red Sele jersey almost anywhere and they should always be worn on game days. While most Ticos are either supporters of ´La Liga´ (Alajuela) or ‘Saprissa’ (San Jose) for their club teams… Everyone comes together to support La Sele. It isn’t a tough team to support either. They far exceeded expectations in the last World Cup and continue to be a dominant team in the region. You had better learn this name too: Keylor Navas. Keylor is the goalie for Real Madrid and the star of La Sele. In fact, they may not let you through immigration/customs if you don’t love him. About 20% of all children born in Costa Rica between 2014-2017 were named Keylor (both boys and girls…). Learn it. Live it. Love it. Si se puede. Q: How long is the drive to: Garza/Ostional/Samara/Marbella/town/the beach/school/etc? A: Quince minutos. Q: When will you be here? A: Quince minutos. Q: How long will the heart transplant surgery take? A: Quince minutos. Q: When will my car be ready? You guessed it… A: Quince minutos. -Lip Point. The most Tico mannerism I can think of is pointing with your lips instead of your finger. So instead of pointing your finger to explain direction or location… you simply pucker your lips in an exaggerated fashion as if you were going to kiss your sister, look in the direction you want to convey and lift your chin up for about 3-5 seconds. This ‘lip point’ will tell your acquaintance where to look/go. It is imperative that you keep your arms down through this process as it may send mixed signals and cause confusion. -Zarpe! The Ticos have come up with a word that English language is sadly lacking. Zarpe is the one word term meaning ‘last round’. When you’re at the bar with your friends and it’s time to go home someone will always say ‘zarpe’ (they usually say this to the waiter/waitress directly, thus negating your possible chance to vote “no”). Technically that should be the last round; however, some of my friends have been known to go for 2nd, 3rd and even 4th zarpes. -Park Anywhere. Motorcycle, quad, car, bus… It doesn’t matter. Turn it off or stop wherever you see fit. If you see a friend coming from the other direction you should stop in the middle of the road, flag them down and have a conversation. Take your time and make sure all details are discussed. Do not be concerned that the rest of traffic is waiting impatiently behind you. They’ll get over it. Park as you please… if you are taking up two spaces or are blocking traffic, it’ll be alright. -Be Late. The Latin culture has always been known for being relaxed and not as up-tight as others (attention: Gringos ;-). That too is true in Costa Rica as well. So, if you show up to a party at 7:00, don’t expect the cups, plates and napkins to be out, even though the invitation said 7:00. You’ll likely be the only one there unless another ‘green’ gringo was invited. In that case the two of you can look at each other for a while until the rest of the guests show up between 8:30 and 9:00. In this country, watches are used solely as decoration. Follow these simple steps and you are sure to fit in. Fail to… and you’ll forever be another passing Gringo. Keep in mind these steps are only level one. Tiquicia 2.0 can only be achieved with fluid knowledge of at least 10 cuss words, knee high rubber boots and a machete… but let’s not get ahead of ourselves.